Get professional help, explore the benefits and limitations of each business structure and start your entrepreneurial journey. Get professionals to file your GST returns every month with ClearTax. Get credit on taxes paid by you. Assess your taxable income and file your presumptive income tax returns on ClearTax. Save your taxes in easy monthly instalments. Invest in tax savings funds. Confused about ITR 2, 3 or 4? With a host of self-selection tools to check eligibility and precise guidance at every step, Our interface is tailormade for you to file taxes yourself. Should you incorporate your company? Do I need to get audit done? Can you opt for presumptive tax or not? How much presumptive tax you need to pay? This isn’t as complex as you thought. Income Tax Return is an acknowledgement that you have paid taxes to the government of India on income earned by you. This needs to be filed once every year. What is the difference between salaried and professional income? Salaried Income is what you earn when you are employed in an organization, usually a company. The company deduct taxes against your salary every month (which gets reported in your salary slip). Professional Income is what you earn by providing professional services to customers. So, an employee with TCS get paid a salary while developer building apps and earning through advertising is a professional. Note that if you are earning both the types of incomes, only professional income will be considered for the purpose of presumptive tax. Presumptive Taxation involves the use of indirect methods to compute tax liability where the taxable income is calculated based on assumptions instead of actuals. Here, the business entity is required to declare a given percentage of its business turnover (or gross receipts in case of professionals) as its income and pay a fixed percentage of it as tax. As per Finance Act 2016, professionals (as notified by CBDT) with gross receipts upto Rs. 50 Lakhs for the period April 1st, 2016 to March 31st 2017 can opt for presumptive taxation. What is the difference between normal tax and presumptive tax? Under Normal, Income is computed as below. Note that income tax is levied only on the income and not on gross receipts. For Individuals and HUF, Income tax will be payable on the income based on the tax slabs. Read More here. Who is eligible to apply under presumptive Taxation? As a professional, if I am eligible for presumptive tax, is it mandatory to file returns under presumptive taxation scheme? Not at all. You can continue to file your returns under normal tax. Similarly, if you choose to file under presumptive taxation, you can opt out of the scheme at any time. Save tax: Usually professional do not have much expenses to declare. By declaring 50% of income as profit and balance 50% as expense, a lot of tax saving can be done. What income tax slabs apply to professionals? Professionals can be individuals, HUF or Partnership firm. For Individuals and HUF, Income tax will be payable on the income based on the tax slabs. Read More here. You are right. The Income Tax department has released new IT forms. Earlier, Professional needed to file under ITR-4 but now they can file under ITR-4 (Sugam) if they opt to file under presumptive taxation. Read here to know more. When do professionals have to file income tax returns? Gross Receipts is the revenue earned by a professional from all professional services he provides. Income is the amount on which professionals need to pay taxes on. Professionals eligible under presumptive tax have the benefit of not maintaining any books of account. However, professionals are mandated to keep books of account if the income disclosed by Professionals is less than 50% of gross receipts and the total income exceeds Rs. 250,000. In this case, professionals will also be required to get their audit done. Goods and Services Tax (GST) is a comprehensive tax levy on manufacture, sale and consumption of Goods and Services at national level and is expected to remove the cascading effect of tax (tax-on-tax) which is prevalent presently. It will replace all the taxes currently levied and collected by the Centre (such as Central Excise Duty, Service tax and CVD) and by the State (such as VAT and CST), on businesses and professionals. Click here to read more. The expenses which are directly or indirectly related to your business can be claimed in the income tax return against business income. Like, business promotion expenses, rent of the business premises, electricity, repair and maintenance of the premises and vehicle used for business purpose, salary and wages, depreciation on asset used for business,etc. Which ITR form do I need to file? Till FY15-16 (AY16-17) the forms which are applicable, as per the sources of income one has, can be understood here. From FY16-17 (AY 17-18), ITR 2A and ITR 3 get subsumed in ITR 2. ITR 4 has become ITR 3 and ITR 4S has become ITR 4 (Sugam). For the business and profession opting for presumptive taxation, have to file ITR 4 (Sugam). For the business and profession opting for presumptive taxation, sum up your gross receipts/turnover and fill it in business and profession tab in your Clear tax account. It will automatically calculate your income, then fill the details of your section 80 deductions and taxes paid. That is how, you can proceed to file your return. Why do I need to get books audited? As per income tax laws, if gross receipts from profession exceeds Rs. 50 lakhs (from FY 16-17, earlier it was 25lakhs), then it is mandatory to get the books audited. However, professionals are mandated to keep books of account and get it audited if the income disclosed by Professionals is less than 50% of gross receipts and the total income exceeds Rs. 250,000. Do we need to provide any eligibility proof for a professional? No proof is required to establish your eligibility to opt for presumptive taxation for professional. You just need to select your profession from the drop down of nature of business in your income tax return. I am a professional also I am an NRI for this year as per income tax laws. Can I opt for presumptive taxation? How is tax computed for professionals under Presumptive Taxation? I am running a clinic and a consulting physician in a hospital. How is my taxable income computed? Income from clinic will be treated as professional income and in hospital if you are on payroll then that income will be treated as salary, otherwise as professional income only. I am a resident doctor and I get stipend. Is that a taxable income? If yes, under which head? If the stipend is given to support your research and studies then it is exempt from tax. Otherwise, it is taxable as salary. I am a surgeon practising in a multi-speciality hospital. How is my tax computed? Professional practice can opt for presumptive taxation and declare that 50% of gross receipts as profit and pay tax on the same. Apart from my own clinic, I provide online consultation through websites. How is my tax computed? Income from clinic will be treated as professional income. Online consultancy also comes under the purview of professional service so the income from online consultancy will also be treated as professional income. If the total of both the incomes does not exceed Rs. 50 lakhs then you can opt for presumptive taxation, otherwise not. I provide lectures in a medical school and get paid for it. How is my income treated? Teaching is not a specified profession as per income tax laws. If the school management is deducting TDS under section 192 then it will be treated as salary, but if they are deducting TDS under section 194J then it will be treated as professional income but presumptive taxation cannot be opted for it. As a doctor, my professional income exceeds Rs. 50L. Which income tax returns should I file? As per new forms, ITR 3 needs to be filed when professional income exceeds Rs. 50Lakhs. Also you need to get your books of accounts audited. I earn some cash income through own clinic. How do I declare this in my tax computation? You can take help of the number of prescription you wrote to your patient or maintain a register for the same and calculate your income on it basis. You need to declare it as professional income only. What are the regulatory compliances for a doctor? From the aspect of tax, income tax return filing and service tax return filing (if registered under service tax) are the two major compliances for doctor providing professional services. I am an app developer and have developed apps for a foreign client. I earn income from abroad. How do I get taxed? Since you are providing professional services, you need to show it as professional income in your income tax return. If it is below Rs. 50 lakhs then you can opt for presumptive taxation and declare 50% of your gross receipts as income and pay tax on it. I am freelance website developer. I have an agreement with clients to get paid at the end of every project. I started a project in Feb 2017 but have not yet got paid for it. How is my taxable income computed? You can offer your income to tax on receipt basis or on accrual basis. So if you opt for receipt basis then in the year in which you receive the payment, you need to offer it to tax in that year’s income tax return. I am a freelance designer operating out of a rented apartment. I do travel to meet my clients occasionally. Food & Internet is on me. What professional expenses can I claim tax benefit on? If you opt for presumptive taxation then business expenses cannot be claimed because 50% of your gross receipts is considered as your professional expense on presumptive basis and you need to pay tax on balance 50%. Thus, professional expenses can be claimed on actual basis only when you do not opt for presumptive taxation. I subcontract some part work to junior designers. Am I liable to deduct tax? Yes, since you are availing professional services you are required to deduct TDS @10% on the payment made to sub-contractor. When am I required to get registered under service tax or GST? When your total gross receipts exceeds Rs. 9lakhs then you are required to get service tax registration. If you have already taken service tax registration then you are required to migrate to GST by taking GST registration. In case you have not taken service tax registration yet, so when your total gross receipts exceeds Rs. 20 lakhs then you are required to get GST registration. I advise clients about their legal matters and represent them in courts. Am I a professional as per income tax laws? How could I determine my gross receipts and taxable income? Since you are a practicing legal professional, you can opt for presumptive taxation (if gross receipts are upto Rs. 50 lakhs). You can sum up all your income earned by providing the professional services and that will be your gross receipts. As per presumptive taxation, 50% of your gross receipts will be your taxable income. Do I need to maintain any records? Can I claim expenses which I have incurred to provide the services to my clients? I am working in a law firm as well as I am practicing. How should I determine my taxable income and tax? If you are on a payroll with law firm then that income will taxed as salary. Income from practice will be treated as professional income. You can use our income tax calculator. I am working on contract basis with many law firms. They deduct TDS on my income. Do I still need to pay tax and file income tax return? TDS gets deducted @ 10% on your professional income, whereas your may fall in 20% or 30% slab rate on the basis of your total income so, there might be a case where you have to pay tax. Return filing is mandatory when your total income exceeds Rs. 250,000 irrespective of the fact that TDS is getting deducted on your income. My total income from practice exceeds Rs. 50 lakhs in a year. In that case, what do I need to do? You are required to maintain books of accounts, get it audited and file income tax return as per normal provisions. You cannot opt for presumptive taxation. Read more here. I am partner in a Law firm. How will my income be taxed? Can the partnership firm opt for presumptive taxation? Since you are a partner, you would be deriving income in the form salary from partnership. So the same will be taxed as salary u/s 17 as per tax slab rate applicable. Partnership firm can also opt for presumptive taxation, but it cannot claim the deduction of the remuneration paid to its partners as business expense. I make advertisements for the clients and receive income in lieu of that. Am I a specified professional as per income tax laws? If yes, how can I determine my taxable income? Advertiser is a specified professional. You can opt for presumptive taxation and declare 50% of your gross receipts as taxable income. I get commission as % of the revenue generated to the clients through the advertisements made and posted by me. Is that professional income? If not, then how should I show that income in my return. The commission income is not specified professional income so you cannot opt for presumptive taxation. You need to file proper return with balance sheet and profit and loss. What expenses can I claim against my advertisement income? If you do not opt for presumptive taxation, then you can claim expenses like, business promotion expense, internet bills, mobile bills, ad space purchase cost, etc. Can I claim depreciation on the assets used for providing advertisement services? If you do not opt for presumptive taxation, then you can claim depreciation, otherwise not. I own a advertising company. Can my company opt for presumptive taxation? Also how my income would be taxed? Company cannot opt for presumptive taxation. Your income will be taxable as salary as you would be an employee of the company. I work on my own. I design interiors for the houses/flats of my sole clients and builders as well on contract basis. How should I determine my gross receipts and taxable income? Since you are a specified professional, you can opt for presumptive taxation (if gross receipts are upto Rs. 50 lakhs). You can sum up all your income earned by providing the professional services and that will be your gross receipts. As per presumptive taxation, 50% of your gross receipts will be your taxable income. I am a interior designer and I work with an architect company. Under what head my income will be taxed? If you are on payroll then your income will be taxable as salary and you cannot opr for presumptive taxation. I am a freelancer interior designer. Do I need to pay advance tax? How should I calculate the same? If your tax liability is more than Rs. 10,000 and you do not pay advance tax on time then 1% per month interest will be levied under section 234B and 234C on your tax due till the date of payment. If I opt for presumptive taxation, what all records of my income and expense I need to keep safe? I am a Commerce graduate and work as an accountant. Do I qualify as a professional? Accountants do not qualify as a professional as per income tax laws. A professional accountant is the one who is governed or regulated by an institute or body established by an statute. A CA qualifies to be a professional from the aspect of presumptive taxation. I work on part time basis for many entities to maintain their accounts. How should I show my income in income tax return? Usually, accountants get salary even if they work on part time. So the income will be treated as salary income. I am a certified accountant and I do accountancy work on contract basis. Do I qualify as a professional and can I opt for presumptive taxation? If you possess a degree of professional accountant then you can opt for presumptive taxation and declare 50% of your gross receipts as income. I am a CA. I work on part time with a company, also I practice on my own. Under what head, should I declare my income in income tax return? The income you get from the part time job will be treated as salary if you are n employee of the company and not working as a consultant. The income earned from practice will be your professional income and for that you can opt for presumptive taxation. I am a partner in a CA firm. The gross receipts are more than Rs. 50 lakhs. Can my firm opt for section 44AD instead of 44ADA? No, partnership firm of professional cannot opt for 44AD. If its gross receipts are more than 50 lakhs then it has maintain books and get it audited and file return in normal provision with balance sheet and profit and loss. I write technical and non technical content and edit them on contract basis. Am I a specified professional as per income tax laws? Technical consultant or content writer is specified profession. So all your income from technical consultancy is eligible to be called as your professional income for availing the benefit of presumptive taxation. All your income from non technical consultancy may be call professional income but will not be eligible for availing the benefit of presumptive taxation. I collect and analyse data metrics and present reports. Do I get covered in the definition of professional? How should I file my return? Data analytics gets covered under technical work so data analyst is a specified professional. You can opt for presumptive taxation only when you are working as consultant/freelancer and not as employee. You can file return for your professional income by declaring 50% of your gross receipts as your income. I provide software development and updation services to client in abroad. I receive income through Paypal. Is my income taxable in India? If yes, how should I file my return? Since you are software developer, you qualify as a professional to opt for presumptive taxation. All the income you receive from abroad is taxable as professional income.You can delcare 50% of your gross receipts as income and file your return after pay tax on taxable income. I do SEO optimization for different clients. Do I qualify as professional? SEO optimization gets covered under technical consultancy so you do qualify as profession as per presumptive taxation provision. I develop website for foreign clients and I receive money in my Indian account. Is my income taxable in India. How should I show income in return? All the income you receive from abroad is taxable as professional income.You can delcare 50% of your gross receipts as income and file your return after pay tax on taxable income. I work with a website development company as a developer/designer. I receive salary. Can I opt for presumptive taxation for my salary income? Salaried employee cannot opt for presumptive taxation for salary income because presumptive taxation provisions are for professional income only. We are four friends who want to start an entity for providing web development services. Should we start a partnership or company? Can we opt for presumptive taxation being a partnership or company? If you start a partnership firm then you can opt for presumptive taxation but not as a company because presumptive taxation provision cannot be opted by a company. I work as an editor on contract basis for many magazines and newspaper companies. Am I eligible to opt for presumptive taxation? 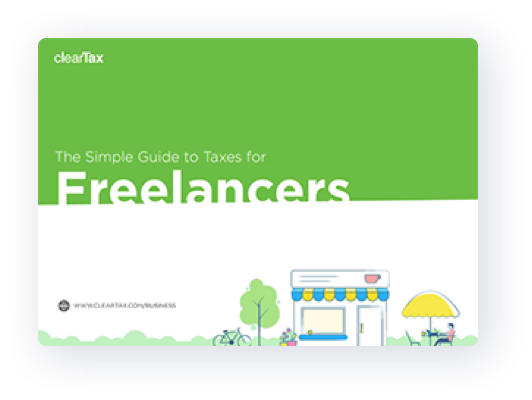 Since you are a freelancer and providing technical you are eligible to opt for presumptive taxation. I am a BJMC. I work as an media consultant in news channel. How would my income be taxed? If you are on payroll and receiving salary then it will be taxed as salary only and presumptive taxation cannot be opted for this income.